One of my favorite appetizers or snacks is potato skins! 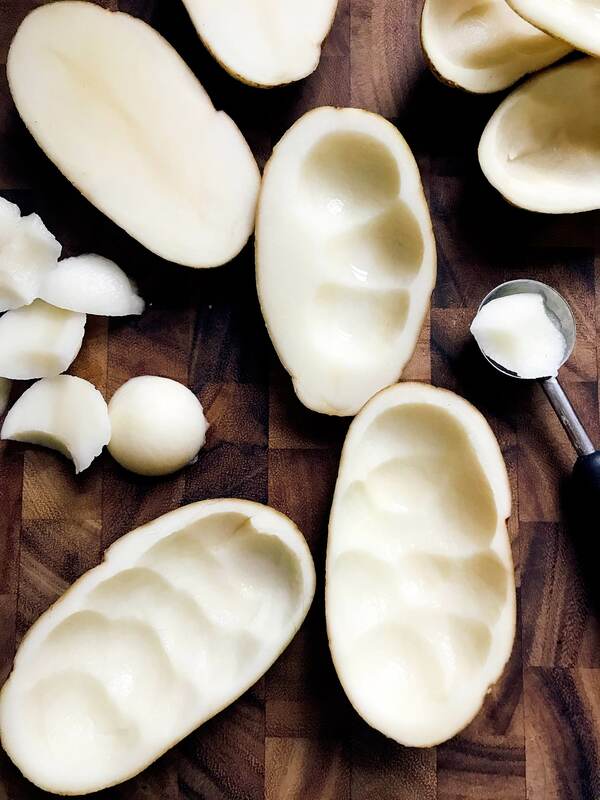 Getting the perfect potato skin shell can be tricky, but I came up with this method and recipe to give you the perfect potato skin shell for any filling that you would like! 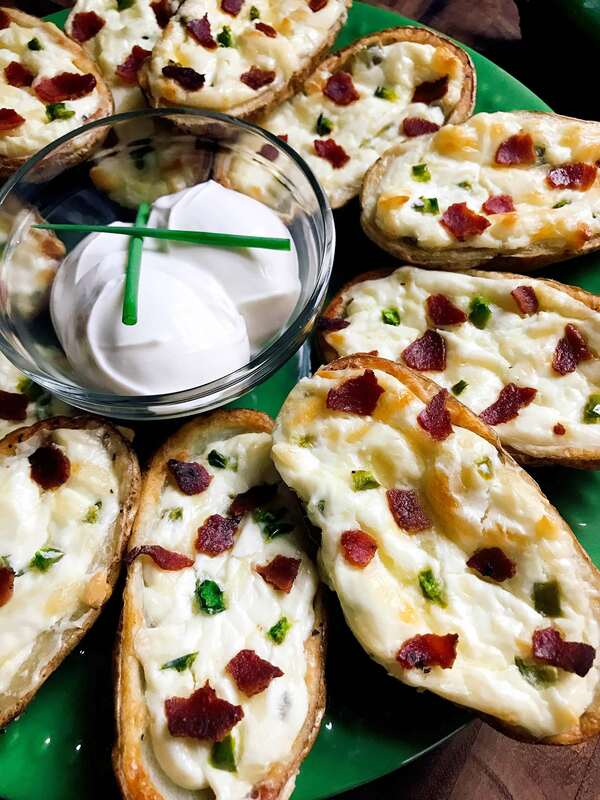 Learn How to Make Potato Skin Shells for your party, home-gating party, or game day! The trick to a perfect potato skin shell is not having a shell that is too soft and making sure that it is seasoned perfectly. I commonly see people bake the potato first, then scoop out the middle. I found that this method takes much longer, the shell is too soft, and it is difficult to get the perfect shell shape. So I prefer this method for the perfect potato skin! I am pretty obsessed with potato anything, so finding this perfect way to make a potato skin is a little dangerous! 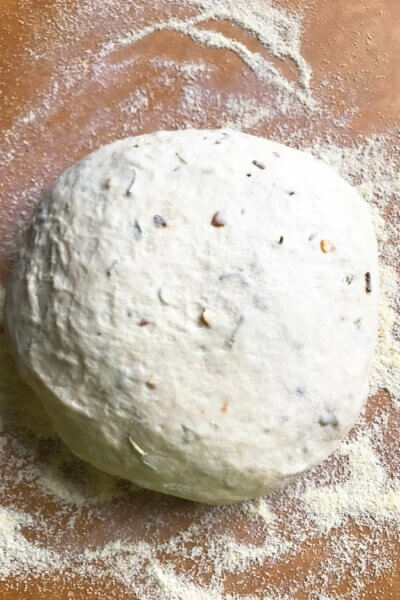 I love to make new ideas of filling flavors, especially when we are watching football or another sport. They are a classic food to have for game day. You can find some of our favorite fillings below, but fill these skins up with anything you love! Once you know How to Make Potato Skin Shells, the fillings are endless. 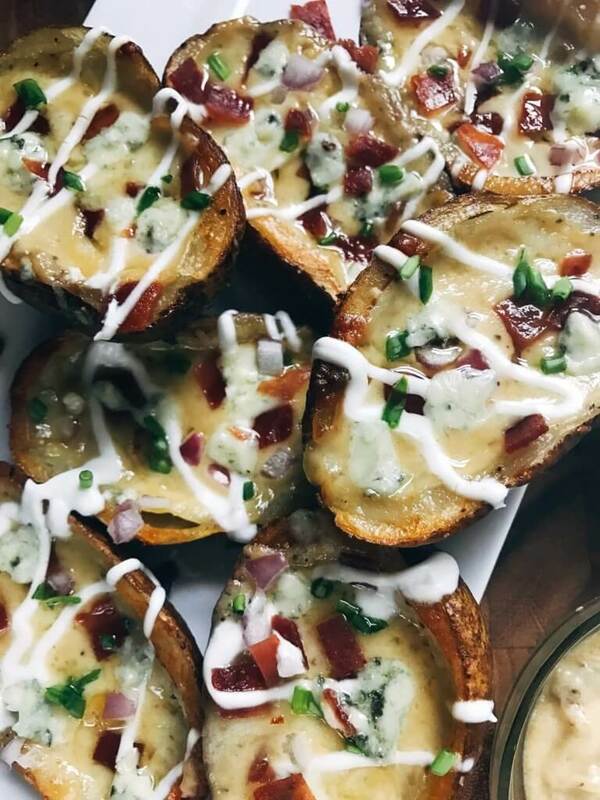 Find all of our potato skin recipes here, including Bacon and Bourbon Blue Cheese Potato Skins, Green Chili Potato Skins, and more! 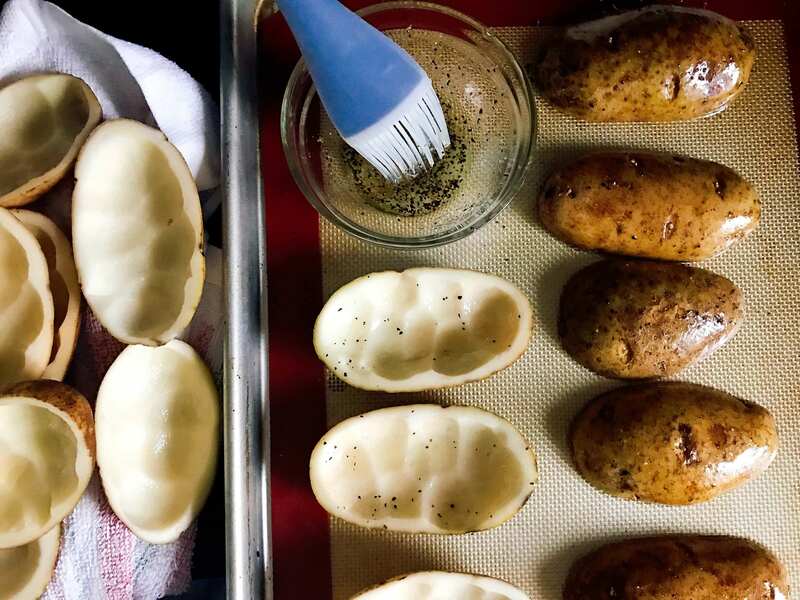 Grab the tools you need from these affiliate links to make your perfect potato skin shells! Scrub and wash the potatoes. Slice them in half lengthwise. Prepare a large bowl or pot full of water. This will be used to keep the potatoes from browning while they are being prepared. Using a melon baller, scoop out the middle of the potato, leaving a border approximately 1/4" thick. When completed, place the potato in the water. You can also keep the pieces you scooped out and make some mashed potatoes! Repeat until all of the potatoes have been scooped out. In a small bowl, combine the oil, salt, and pepper. Remove the potatoes from the water and shake off. Place them skin side down on a sil pad or tin foil on a large baking sheet. 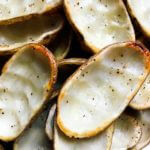 Brush the oil mixture on the inside of each potato skin shell and let any excess oil drip off. Flip each shell upside down so the skin side is now up. Brush each shell with the oil mixture on the skin side as well. Leave them skin side up for baking. 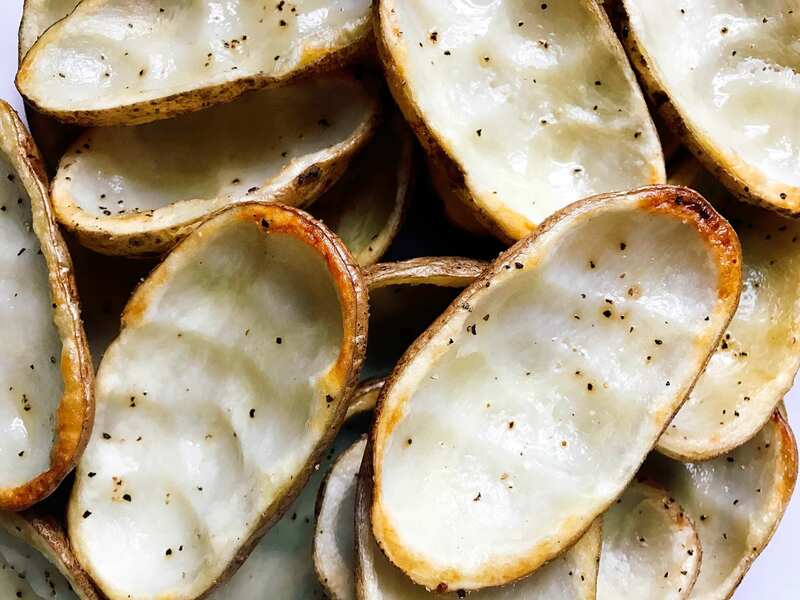 Bake the potato skin shells until they are just fork tender, approximately 12-15 minutes. The time will vary based on how thick you leave the shell and how large the potatoes are. You want them to be soft enough to eat but not too soft so they do not fall apart. 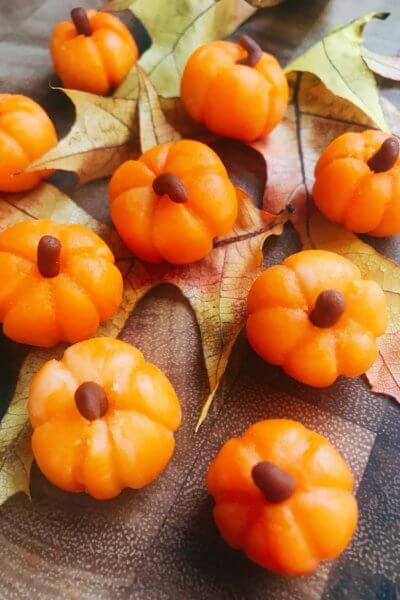 Remove them from the oven and let cool slightly before adding any fillings. See our other recipes for filling ideas and instructions. Grab all the equipment you need from these affiliate links: melon baller, silicone basting brush, silicone baking mats. The potatoes can be any size you wish however it is best to keep them similar in size so that they cook evenly. The size of the potato will also change how long you need to cook them. It is best to not use olive oil because it has a lower smoking point, which means it can essentially burn faster at higher temperatures. It also tends to make the potatoes softer instead of crispy. 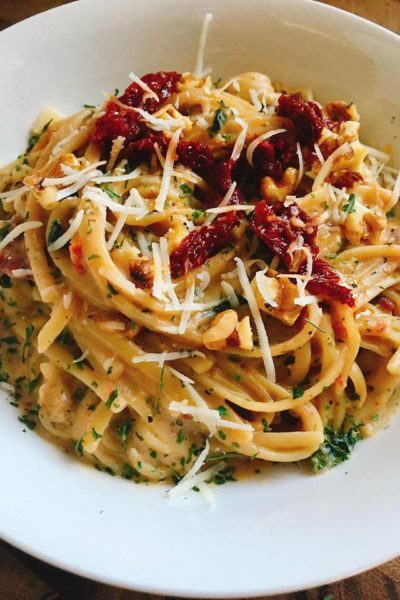 But if olive oil is all you have, or what you prefer, it will still work. These would be a big hit in my house! Maybe I’ll try them for the super bowl! My kid would just love these! Sharing! I LOVE Loaded Potato Skins! I’m drooling all over your page. I hope i dont make a mess. Love the photos and detailed instructions. These potato skins look divine! Thanks! 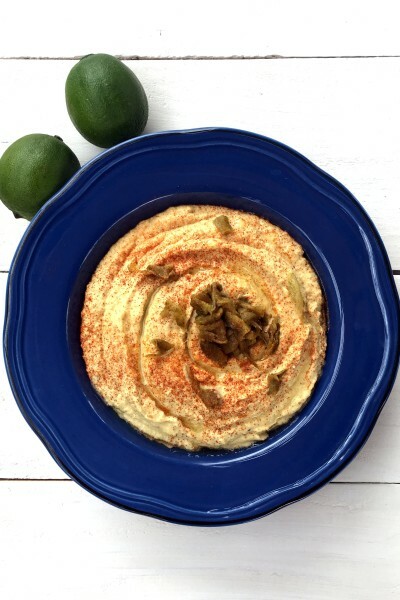 This is a new potato skin technique for me…can’t wait to try it out! This was a super easy recipe. The skins are a perfect backdrop for any toppings you can think of. How far in advance can you make the shells? The day before? How would you store them? Thanks! I would say 3-5 days in the refrigerator should be safe to use. I tend to make them a day, maybe two, before when I have time. I just pile them up in a tupperware, but you could also put them in a resealable bag. 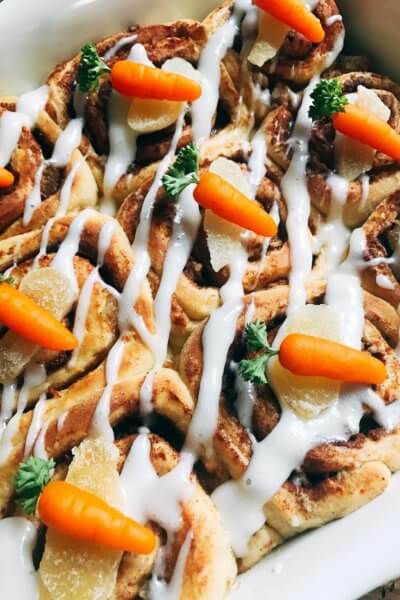 Then just lay them out on your baking sheet cold and fill them with whatever you would like when you are ready to finish them off. You could also stick them in the freezer for 8-12 months! Hi there, what was the date you published this recipe? I am using it for a project but am trouble citing it because I cannot find the date. These potato skins are so good! I’ve never used this method, but I will from now on.. Thank you!